The people who use federal buildings—Federal employees, operations and maintenance staff, and the general public—can significantly impact a building's environmental performance and the consumption of energy, water, and materials according to a new report from Pacific Northwest National Laboratory. 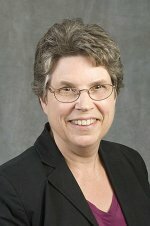 The report, co-authored for the U.S. Department of Energy by Dr. Elizabeth Malone, working at the Joint Global Change Research Institute, a collaboration between PNNL and the University of Maryland, shows how changes in people's energy use behaviors can contribute to efficient building performance. In "Behavioral Change and Building Performance: Strategies for Significant, Persistent, and Measurable Institutional Change," the authors suggest that, despite a lack of verified behavior-centered strategies, agencies can improve their energy-efficiency programs using existing knowledge and a systematic approach. In the United States today, the buildings sector accounts for 40 percent of the primary energy use. Advances in water- and energy-efficient technologies promise significant resource consumption reductions in buildings, but typically the promised reductions are greater than actual "in use" reductions; this gap can be reduced or closed by attending to changes in people's use of energy. Four high-level recommendations are proposed by the authors. These strategies offer an action-based framework for changing individual and organizational use behaviors to achieve organizational sustainability and building performance goals. Adopt a "systems perspective" to integrate technological, behavioral and institutional change. Employ specific methods and strategies, supported by peer-reviewed scientific research, to reach sustainability goals while also accomplishing agency missions. Evaluate outcomes to determine which strategies work best to build a culture of sustainability, which are not effective and should be discontinued, and which should be revised. Sponsor social science research that will build evidence for behavioral and institutional strategies aimed at saving energy, water, and materials over the long term. Malone, a sociologist, focuses on policy-relevant social science research in global change issues. Her contributions span developing world views, data sources, and social-scientific approaches to climate change. Author of Debating Climate Change: Pathways through Argument to Agreement, Malone also co-edited a four-volume assessment of social science research, Human Choice and Climate Change. She was Review Editor and Contributing Author for the Fourth Assessment Report of the Intergovernmental Panel on Climate Change, which shared the 2007 Nobel Peace Prize.